The CenterTix call center operates in the Alaska Center for the Performing Arts and closes daily at 5:00 PM (closed all day Sundays). On nights when a show is performing in the Center, the phones are answered by the Box Office until curtain time. During these extended hours, calls are answered for information purposes only. (located on 6th Avenue adjacent to Kaladi Bros, across from Humpys). This is the principal box office for CenterTix and the Alaska Center for the Performing Arts. Unless a show is performing in the Atwood Concert Hall, this is the location that is open during regular CenterTix hours. On performance days in the Discovery Theatre, Sydney Laurence Theatre and Elvera Voth Hall (excluding Sundays), CenterTix stays open through the first intermission of the performance. On Sundays, CenterTix will open one and one-half hours before the performance and remain open through the first intermission. This box office is located on F Street between of 5th and 6th Avenues (adjacent to Town Square Park). On performance days in the Atwood Concert Hall, CenterTix will open the Lorene Harrison Lobby box office one and one-half hours before the performance and remain open through the first intermission. Click here to see if an upcoming show has been cancelled. This list will be updated as soon as cancellations are made. Please check back again closer to show time for the latest information. To determine if your tickets are eligible for exchange, please contact CenterTix at 907-263-ARTS (1-877-ARTS-TIX outside Anchorage). If you are not able to use our online form, you can still initiate the exchange by eMail, fax or text. Simply write "VOID" across the tickets and snap a photo of them. 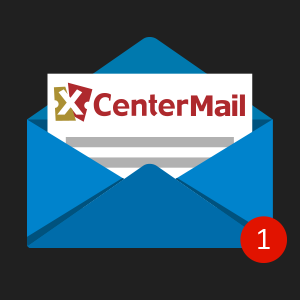 Send the photo to exchange@centertix.net Be sure to include your name and cell phone number so that we can contact you back as soon as we receive your message; and we'll complete the exchange for you. Exchange fees apply to all ticket exchanges. 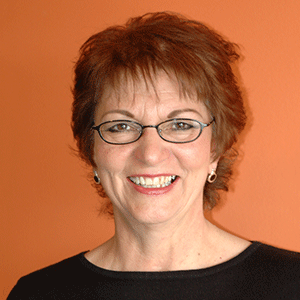 Please be prepared to provide credit card information with matching billing information. Please visit our subscriptions page for information regarding ordering subscriptions for our resident companies and other performing arts partners. Most subscription sales run through the summer and early fall only. CenterTix fees are the same online, over the phone and at our box office. So you can rest easy knowing that you won't pay more by shopping the way you like to shop. Nobody likes to pay fees - including us. CenterTix makes every effort to keep our fees as low as possible. As a non-profit organization, we can afford to charge little more than enough to cover our costs. We hope you will find that the result is a service that is worth every penny. When you buy a ticket, the organization putting on the event sets the ticket price. That base ticket price is collected by CenterTix on behalf of the event promoter. CenterTix also adds fees to cover the cost of providing a convenient, reliable and secure shopping experience. 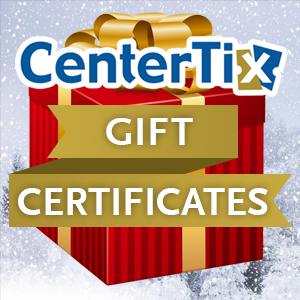 Each single ticket (or non-subscription ticket) purchased from CenterTix is subject to a ticketing fee that is 12.27% of the ticket price plus $1.22 per ticket. This fee is calculated as a percentage of the ticket price in order to reimburse us for fees associated with the transaction (such as credit card fees and other similar payment processing fees) which are likewise calculated as a percentage of the transaction. In addition to covering payment processing costs, the revenue from this fee also pays for the staffing, overhead and operational costs associated with providing a reliable and secure computerized ticketing service. 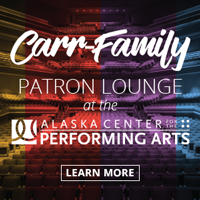 For every paid admission ticket to the Alaska Center for the Performing Arts which is intended for use by an adult aged 19 or older, the Municipality of Anchorage assesses a $3.00 fee. Tickets for youth ages 18 and younger are exempt from this MOA Fee. When shopping with us, be sure to apply youth discounts for each youth joining you at events performing in the Center. Although most delivery options are free, you may choose to receive your tickets via USPS Priority Mail. This option adds a fee of $8.00 to your ticket purchase. USPS Priority Mail is not available for orders placed less than five (5) days before the show. In the event that tickets must be reprinted, replacement tickets will only be released to the purchasing patron (or an approved third party) immediately prior to the event in question. Reprinted tickets are not issued in advance. The fee for reprinting tickets is $1.00 per ticket. Donate the tickets back to the event promoter. Tickets to events presented by most non-profit arts organizations (e.g. Anchorage Concert Association, Anchorage Symphony Orchestra, etc.) can be donated back to the presenting organization. Call CenterTix at 263-ARTS for more information. Exchange the tickets. Many tickets are eligible for exchange. 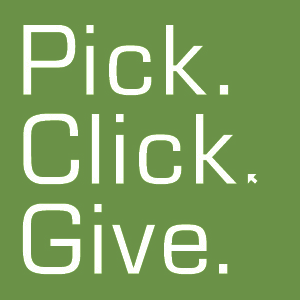 Please call CenterTix at 263-ARTS (1-877-ARTS-TIX outside Anchorage) to see if your tickets are eligible for an exchange. Exchange fees will apply. For information about ticketing your event in one of the lobbies or one of the four theatres at the Center, please contact the Director of Ticketing at 907-263-2722. 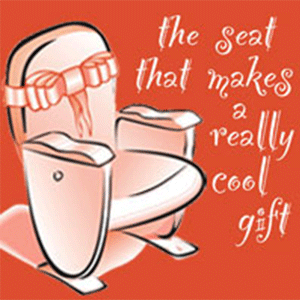 CenterTix provides ticketing services for many performing arts events at venues throughout south central Alaska. 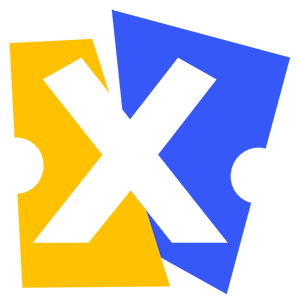 Contracting CenterTix to provide ticketing services for events in these venues requires at least one week lead time before tickets are to be avaialble for sale. For more information and to request a ticketing agreement, please contact the Director of Ticketing at 907-263-2722.